Kentucky may execute Shawn Tigue due to criminal activities of the Kentucky State Police and prosecutor Karen Green Blondell. 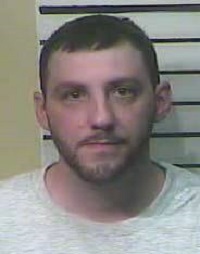 State of Kentucky vs. Shawn Tigue is a pending case in the Bell Circuit Court in Bell County Kentucky. The Supreme Court reversed a conviction On May 14 2015 Case 2011-SC-000737-DG 2012-SC-000599-DG sending case number 03-CR-00082 to the Bell Circuit Court. The case, which has been ongoing since 2003, is now in litigation with additional problems due to the criminal activities of the Kentucky State Police and prosecutor Karen Green Blondell who were involved in this case since 2003. The attorney for the defense, Kim A Green of the capitol trial branch, recently filed a motion to call the prosecutor as a witness to allow questioning in relation to violation of KRS. 524.100. But this request was denied by Judge Robert Costanzo. The destruction of evidence was perpetrated by law enforcement and prosecution in an effort to cover up mistakes made early on in the case. The evidence in question would allow the defendant, Shawn Tigue, grounds for dismissal as the biological evidence was not a match to his DNA. The information contained within the States Forensic Laboratory report indicates that this information was available to the prosecutor and State Police since early 2003. Shawn Tigue will face the prosecution's bid to have him executed. He has been incarcerated for 13 years. Shawn Tigue's sister, Theresa Malone, asked Lawless America to make this information be made public. It is the responsibility that we take as citizens that can make the difference in life or death for another human being. I hope this article will do more than just pi$$ off the Kentucky State Police, prosecutor Karen Green Blondell, and Judge Robert Costanzo.